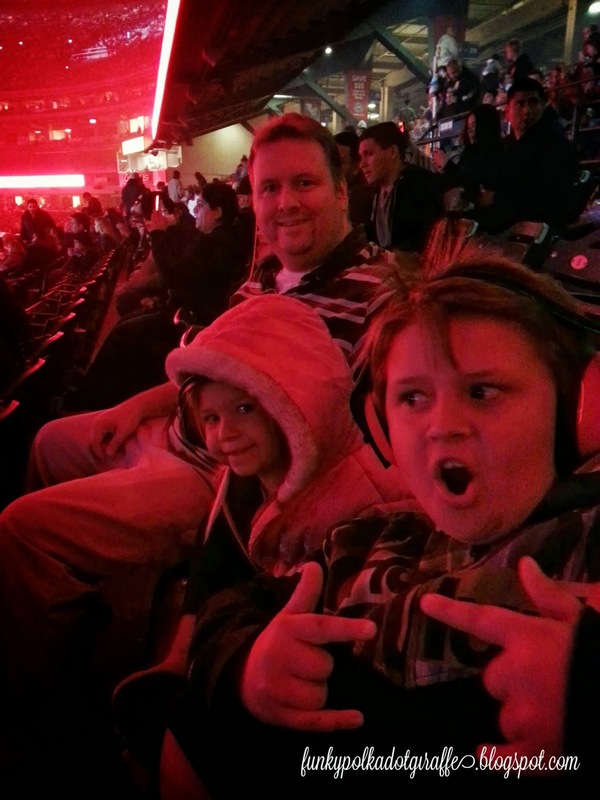 This weekend I took the family to see Monster Jam for the very first time. experience for most of us. rolling over smaller cars and maybe even one another. 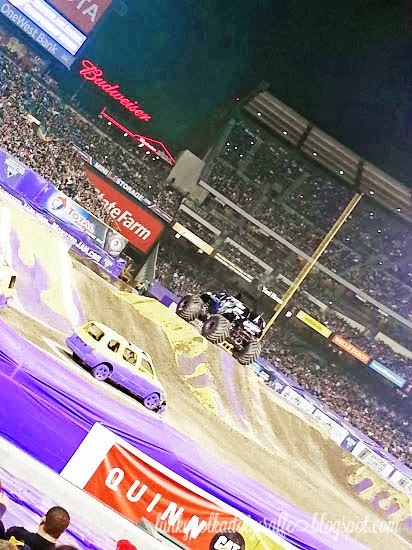 I had no idea that the monster trucks raced each other and then did freestyle tricks. race in pairs to try and defeat one another so they can qualify for the next round. if your favorite would move on! 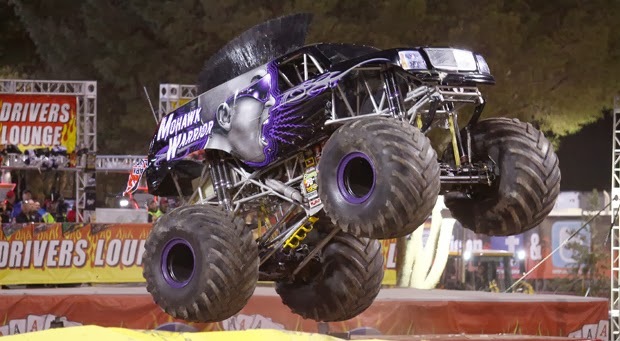 The winner of Monster Jam racing was Mohawk Warrior. 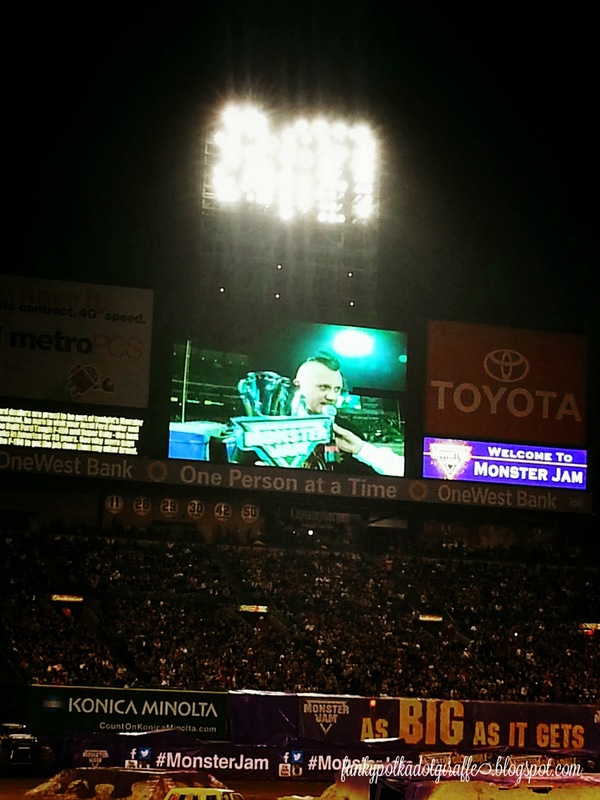 I love the mohawk on the top of this monster truck and it was a big hit with JT. It was even cooler when the driver, George Balhan, got out of his truck and he had a mohawk! interactive the drivers try to be with the audience. gave it to one of his biggest fans. So cool! and taking themselves out of the running because they were on FIRE! 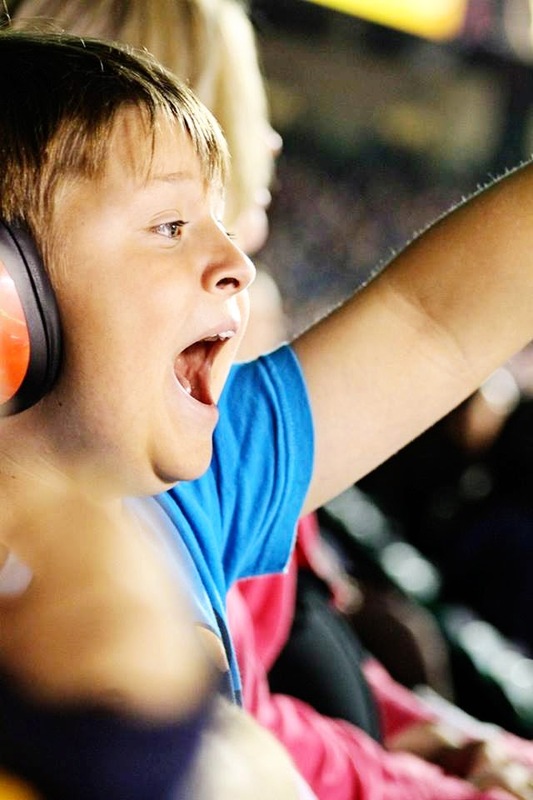 JT especially loved this portion of Monster Jam and really got into cheering. 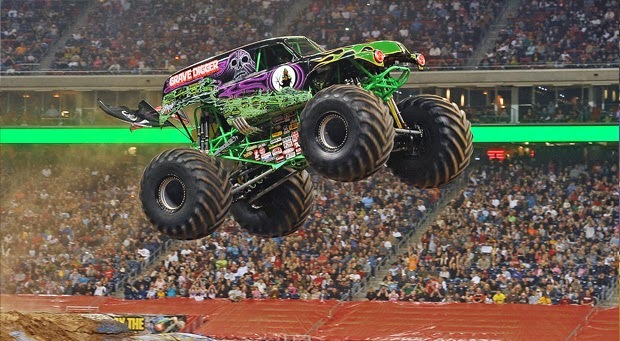 Grave Digger captured the win in the Monster Jam Fox Sports 1 Freestyle Competition. I never knew just how awesome it was! 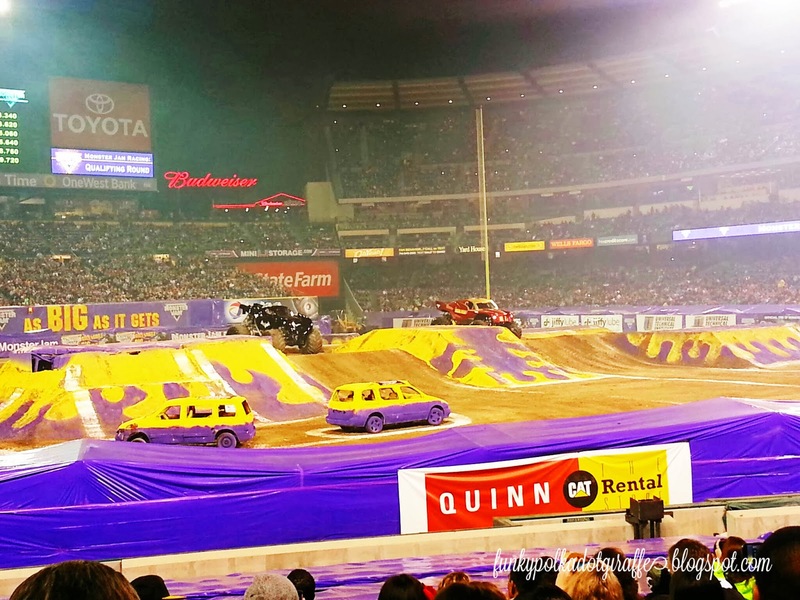 If you miss Monster Jam at Angels Stadium this past weekend, you're in luck! There is one more show coming February 8th. I'd get your tickets quick, as the January 25th show SOLD OUT! For tickets visit ticketmaster.com or call (800) 745-3000.